From the waterways of the Okavango Delta to the arid salt pans of the Makgadikgadi, Botswana is a land where the desert meets an oasis. A land where wildlife still roams freely over vast distances and the Milky Way glitters in all its glory above. A land still home to the San Bushman, the original inhabitants of this great continent, Africa. Nothing compares to the wealth of space in a land time forgot. 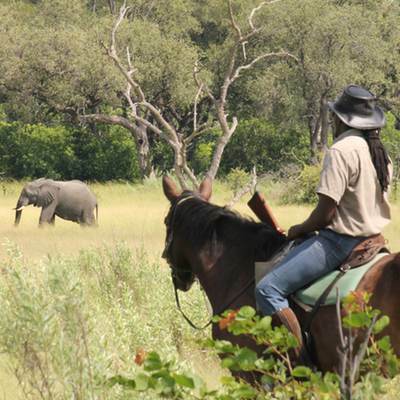 With our passion for wildlife, pristine wilderness and ancient people, join us on horseback exploring the remote areas. 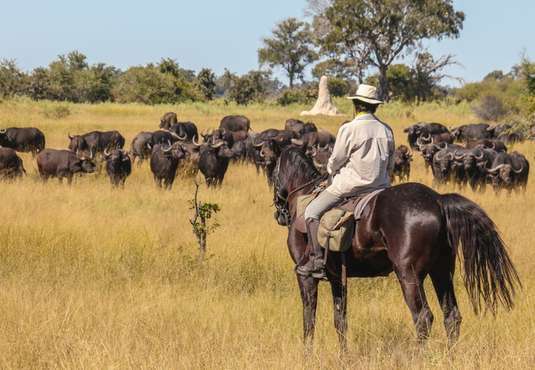 We are the only company in Botswana that offer horse riding experiences in different areas of the country - the Okavango Delta, the Kalahari Desert and along the Thamalakane River. 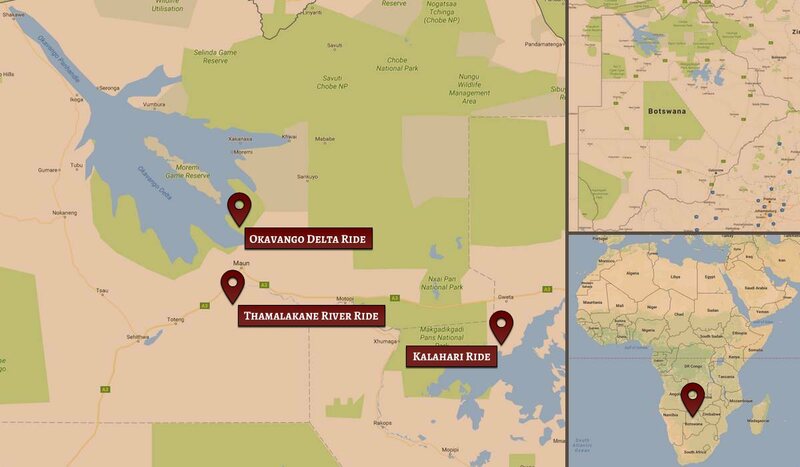 Combining these areas creates the ultimate horse safari - Desert & Delta on horseback. 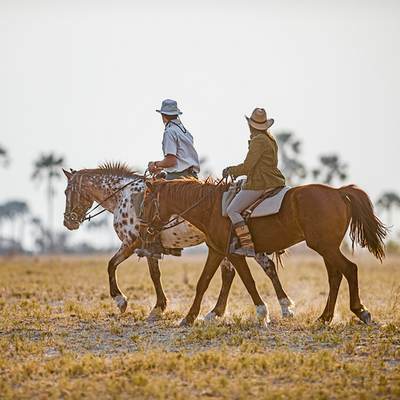 We would love everyone to have the chance to experience Africa from horseback and so have designed a range of horse safaris to suit everyone - from experienced riders to complete beginners. Daily flights into Maun from Johannesburg and Cape Town provide easy access to all of these rides. 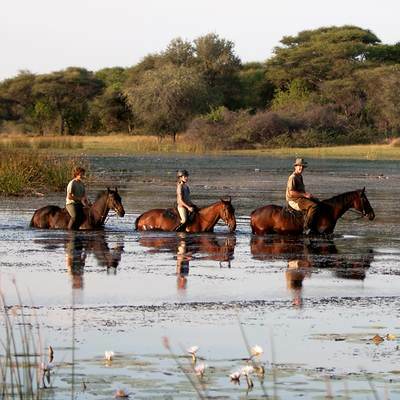 Our newest safari offers fabulous Delta riding on a 7 night horse safari in the Okavango Delta. For the first time in my life I did not want to go home. Your safari was just perfect - the right amount of interest, fun, amazing riding and surprises. Thank you very much for giving us a riding holiday to remember. We loved the horses and the whole experience which was thanks to your kindness and knowledge. The Kalahari, the Okavango, the Makgadikgadi. True Wilderness. Known by many as the “Jewel of the Kalahari” the Okavango Delta is one of the most extraordinary wetlands in the world. The beautiful tree lined Thamalakane River, which snakes along an ancient fault line in the earth’s crust, attracts a wide variety of wildlife. © 2019 Ride Botswana. All Rights Reserved.